Fire extinguishers are a crucial means of protection that can control fires and prevent them from spreading excessively. Portable fire extinguishers are convenient to use at the onset of a fire. We offer an extensive line of extinguishers fit for any situation. Fire extinguishers are suitable for any facility including offices, apartment buildings, homes and restaurants and are classified by type. 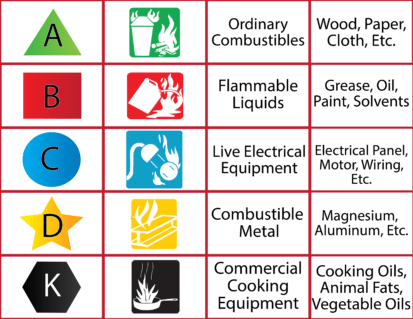 Extinguishing agents are categorized according to the type of fire they put out and are marked by specific symbols. These put out fires that begin on combustible material including paper, wood, rubber, cloth and various types of plastics. These are used against fires produced by flammable liquids including grease, oil, gasoline and oil-based paints. These are used to control fires that are caused by electrical equipment including tools and appliances. These are used in industrial situations on flammable metals and must be used according to the specific type of metal. These are designed for use during fires caused by vegetable oils, animal oils and other fats used in cooking equipment. Class K extinguishers are used in commercial kitchens including restaurants, cafeterias and catering facilities. They can also be used in residential kitchens. Fire extinguishers are one of the first fire protection equipment devices used in the event of a fire. Every fire situation requires a certain type of fire extinguisher and we will ensure that you are equipped with the right kind of fire extinguisher for your needs. We will make sure that your facilities contain a working fire extinguisher through our certified inspection, testing and routine maintenance program. Our services of fire extinguishers comply with Title 19 of the State Fire Marshal Regulations and local Fire Department Regulation requirements. All fire extinguishers are required to be maintained at least once a year or after each time of use. Fire extinguishers in California are required to be recharged every 6 years. We offer hydrostatic testing of fire extinguishers as well as relevant information regarding the proper use of extinguishing systems. The fire extinguishers offered by Fraker Fire Protection, Inc come in a variety of types and sizes and are installed and serviced according to the National Fire Protection Association 10 (NFPA). Our installers and service personnel are certified by the State Fire Marshal and/or Contractors State License Board. 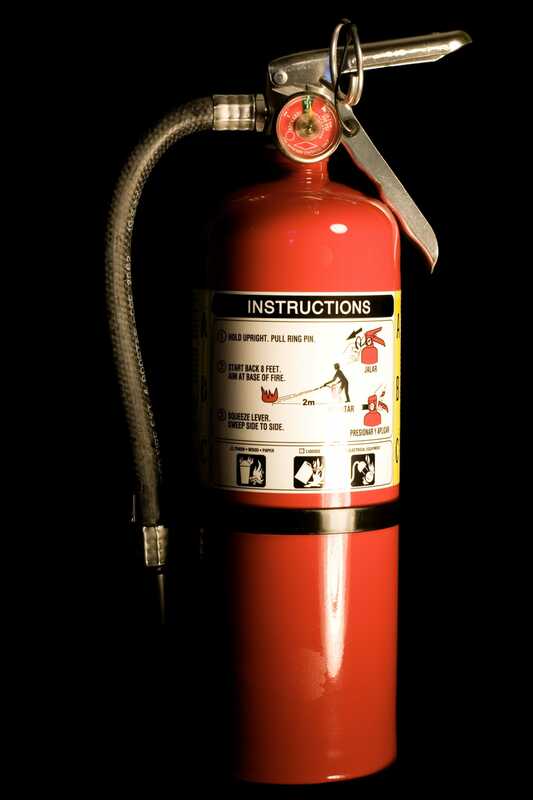 Having the right type of fire extinguisher is critical for controlling the spread of a fire immediately. Anyone who is physically capable can operate a fire extinguisher. It is important to receive proper training for using the extinguisher as needed. The fire extinguisher is working properly without any damaged parts such as dents or rust. There is easy access to the extinguisher in case of an emergency. The pressure of the extinguisher is at the right level. The extinguisher is clean of any oil or grease and free of any pests or debris. With over 35 years of experience, we are a full service Los Angeles Fire Extinguisher Service, testing, repair and installation company. We are dedicated to providing the highest quality service and fire extinguisher products to our customers.